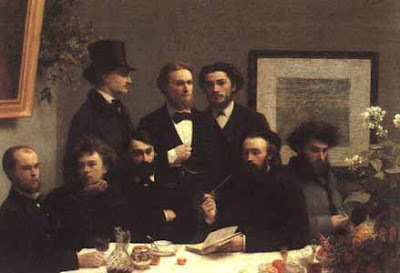 Rimbaud is seated next to Paul Verlaine. I wonder who´s the author of this painting? Otherwise, nice blog, indeed!